Introducing dark glamour to any décor, the Black Velvet Peony Pouffe Foot Stool features beautiful blooms of peonies, hydrangeas and garden leaves against a luxe black velvet background. Measuring height 45cm with a diameter of 40cm, the Peony Pouffe may be a small addition to your home but with a dark floral pattern and curved silhouette, it promises a big impact! 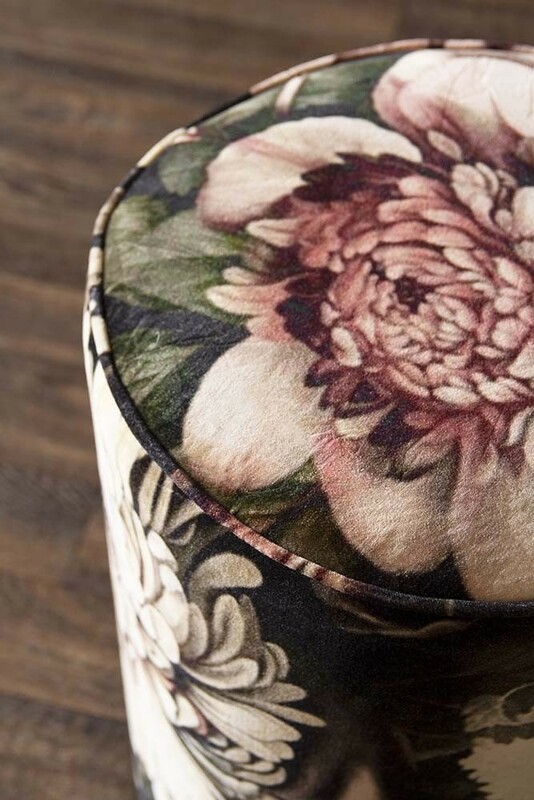 Celebrating the beauty of nature, if you’re a lover of all things floral then this is the foot stool for you! Incredibly detailed with hints of dark, eccentric style, the black footstall is perfect for creating a super stylish boudoir space. Upholstered in sumptuously soft velvet, the Peony Floral Pouffe features the utmost attention to detail with piping along the edges and classic shape that pays homage to the hottest furniture style of the moment - curves! 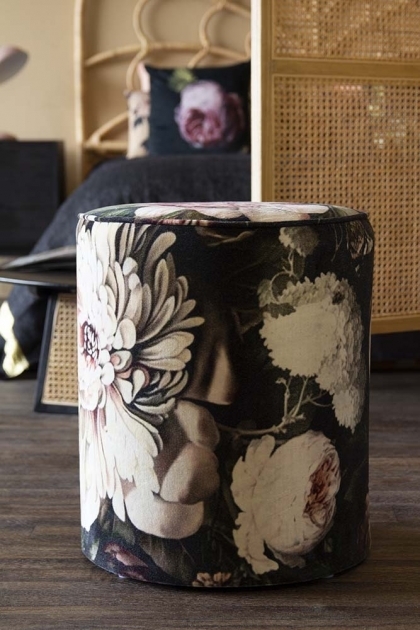 The Black Velvet Peony Foot Stool looks amazing styled just about anywhere in your home and as a small addition to your seating, can be moved around your home to add a little extra pattern and style where you need it most. Place the Black Velvet Pouffe in your lounge styled with stacks of your favourite magazines or position next to your dressing table for a fabulous dressing table stool with a difference!